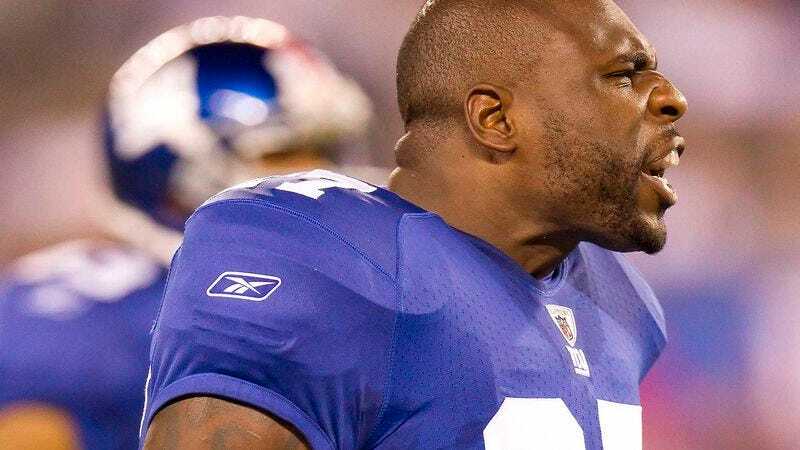 NEW YORK—Giants running back Brandon Jacobs was reportedly furious with coaches following a team meeting Tuesday, loudly expressing his displeasure and demanding more yards per carry. “I work really hard at practice and study the playbook, but then they constantly have me getting tackled by the first defensive player I make contact with,” said Jacobs, complaining that the coaches rarely reward his labor with a touchdown-scoring run. “They’re giving [Ahmad] Bradshaw more yards per carry than me. They like him better. I don’t get it. Seems like I get all the negative rushes or the ones for really short yardage. How is this supposed to make me feel appreciated?” Backup quarterback David Carr expressed empathy for Jacobs, claiming the team has repeatedly ignored his requests for better throwing mechanics, a stronger arm, and more accurate passes.